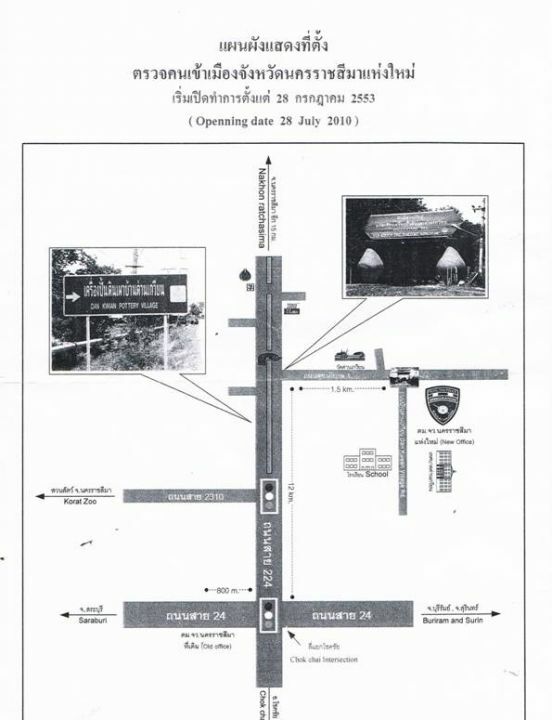 Can anyone tell me where is the Korat Immigration Office? Now I'm near by the "The Mall", so how can I get to there? Dan Kwian Pottery Village Soi 5 I believe. Here is a copy of the map immigration put out a few months back. It did not help me much but the wife knew exactly where it was after reading the map (hint rotate 180d). Broken link to imageshack removed by admin. Thank you for submitting your domains. We'll review your site(s) shortly. Been around for a while, but this is the video I looked at first time I went to find Immigration. As noted above, it is well sign posted, so once you turn left at the two big pots for Dan Kwian Pottery Village, you're nearly there. Coming from Korat on the 224, go past the new Makro on your right, over the traffic lights where there is a big sign Suranee indusrial estate, (under walkover bridge) now do a u turn, come back on yourself, look for the road on your left BAN NONG PING (signposted) a little way down that road immigration office is on your right.